The Annual Dinner, held on 23 November 2017in the beautiful Reading Room of St Andrew’s College University of Sydney, was a great success, both socially and intellectually. 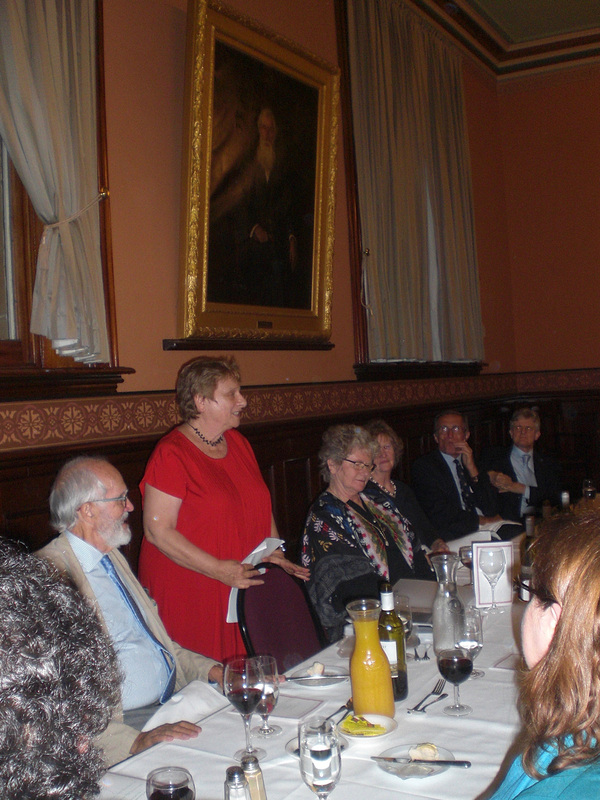 A most interesting, and much enjoyed, after-dinner speech was given by Dr Emily Matters, the present president of the CLTA and long-time greatly admired school teacher of Classics, currently at North Sydney Girls’ High School. Dr Matters, among other things, noted this year showed the greatest number of Greek HSC candidates in the last 40 years, talked about the writing of the new National Curriculum in Classical Languages and introduced her new book, Eureka, an introductory Greek course especially written with Australian students and schools in mind. Photo shows Emily Matters speaking at the dinner.